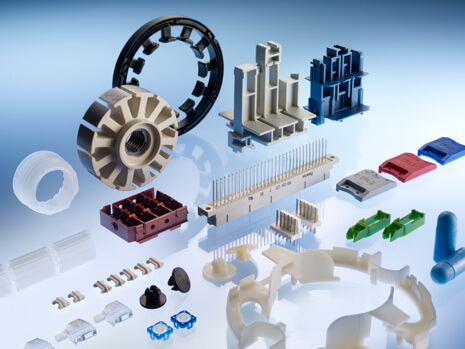 In the electrical industry plastics are used for their good insulating properties and almost limitless shaping possibilities. Progressive miniaturization and new production technologies are continually making higher demands in terms of thermal stability and non-flammability. Thus, for instance, the lead-free solders commonly used today generate peak temperatures over 250 °C, which normally can only be withstood by high-performance plastics such as LCP, PEEK, PES or PEI.